I was beyond excited to visit Los Angeles this summer for a wedding — not only for my first trip to LA, but to California, too. It was late June, so while the temps were up there, we had mostly gorgeous weather and sunny skies. We only had about two days to play around in LA before getting wrapped up in wedding activities, which still ended up being plenty of time to get my first taste of the city. Scroll down for some of my favorite posts and inspirations for planning our trip. Where did we eat promptly after landing at LAX? You got it: the storied In-N-Out Burger. The most adorable Air BnB you ever did see. We stayed in Mid-Wilshire, which was super convenient for us. 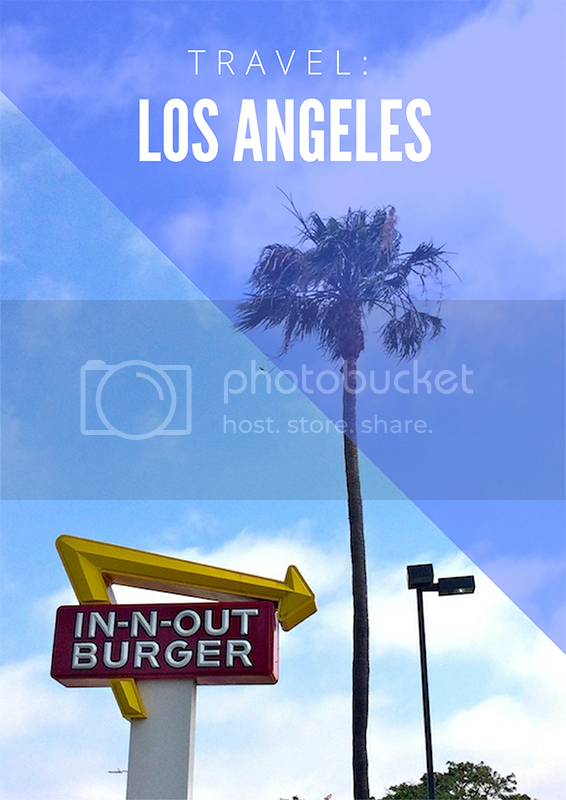 The area is pretty central, with the LACMA, the Grove, Koreatown, and Hollywood all a short drive away, while still having plenty of coffee shops and restaurants within walking distance. We stayed here for two nights before heading up to Simi Valley for our friends' wedding. The view from Griffith Observatory at sunset. We arrived about an hour before and had a great view of the Hollywood Sign, the valley, and the sweeping city, which became more beautiful as the sun set and twinkling lights filled the expanse. There's plenty to explore inside the Observatory, but I most enjoyed just walking around the perimeter and taking in the view. View from The Getty. Turns out there are lots of opportunities for great views in Los Angeles. "Boy with Frog" by Charles Ray. On the front steps of the Getty Museum. Gorgeous Central Garden at The Getty. I took this photo because I thought my nephew would like how the hedges look like Mickey Mouse. Chillin' with a statue that reminds me of a Russian nesting doll. Toes in the dark sand of Santa Monica. Adorable little row of houses in Santa Monica. Can I move here? Korean barbecue! What a treat! Tacos for days. Guisados was recommended to us in Echo Park. It did not disappoint. Beware the spice of the Cochinita Pibil! Rancho de las Palmas, the beautiful venue of our friends' wedding in Moorpark. Those are just some of the highlights. We also had Thai in Franklin Village, explored Laurel Canyon (where I'm 99% sure we spotted Carrie Brownstein walking her dog), and drove out to Malibu for lunch (where I'm 100% sure we saw Kevin Dillon at the same seafood restaurant). I'm ready to go back ASAP.